Black Tie Ski is the #1 ski and snowboard delivery service in the Mammoth Lakes area. We service both Mammoth Mountain Ski Area and June Mountain Ski Resort in California. Our Mammoth location offers top-of-the-line skis, boards, boots and accessories. Our experienced staff will deliver your order free of charge and do a customized fitting at a time and place of your choosing. Book online today for discounted rates on Mammoth ski rental delivery! Don’t worry about picking up your equipment: we’ll bring everything to your accommodations. When you’re ready to go home, we’ll meet you and pick everything up. It’s really that simple and convenient. Your personal ski concierge will deliver and custom fit your equipment in the comfort of your own room. We also offer stylish ski jackets, pants and other accessories so you can travel light. In the rare event that something happens with your equipment, we are just a phone call away. Our rental techs can meet you to make any necessary adjustments or replacements and get you back on the slopes quickly. Mammoth Mountain typically enjoys one of the longest ski seasons in North America. It’s not unusual for slopes to stay open through June, and occasionally into the early summer. The area receives 400 inches of snow and 300 days of sunshine each season on average. June Mountain Ski Area (located near June Lake) has a top elevation of 10,090 feet and a vertical of just over 2,500 feet. June Mountain has 35 runs and 500 acres of skiable terrain. We are proud to offer the very best in rental ski and snowboarding equipment. Our goal is to provide you with the best fitting gear based upon your ability level, terrain preference, and current slope conditions. Should you wish to switch your rental equipment at any time during your stay, just remember that we are only a phone call away! The Premium Ski Package features this years’ latest skis and snowboards and is by far our most popular rental package. Designed for skiers and riders of all abilities, this package offers a wide variety of skis from the best brands and is customized for each renter. This package includes the latest in women’s and junior options. 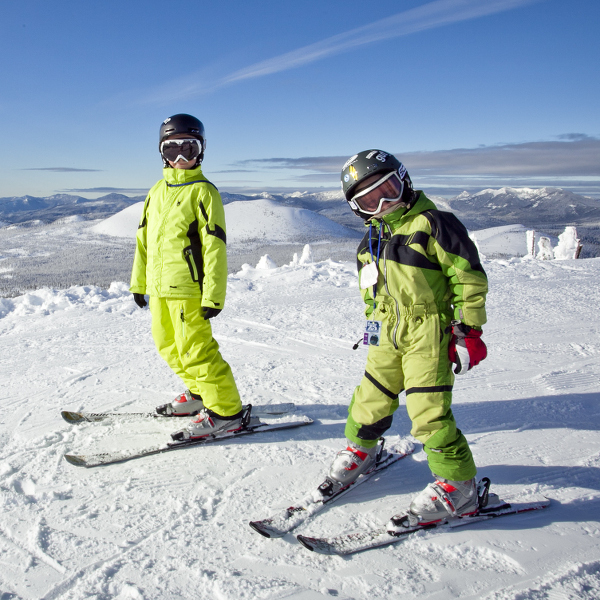 The Junior Ski Packages feature great performing equipment for the 12 and under skiers and riders in your group. These rental packages are also available with Premium and Performance options. Upgrade to our Premium level ski boots for the ultimate comfort and performance. This upgrade is available in both men and women’s specific ski boots and will be sure to up your game to the best it can be! If you find yourself without the proper clothing for the cold mountain air, we have the jackets and pants you need to stay warm on the slopes. 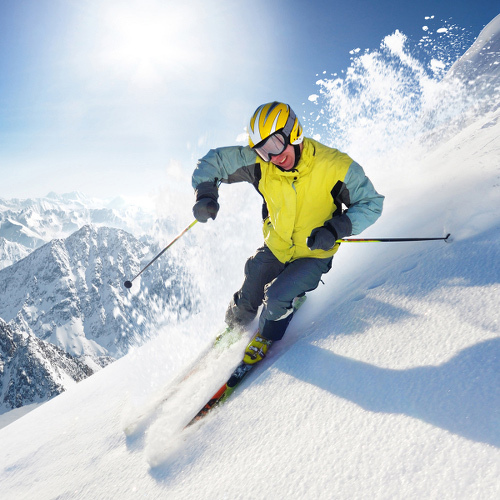 Our rental clothing packages feature White Sierra outerwear jackets and pants. You can either rent them together or separately to fit your needs. Adult Jacket only $20.00/day or Adult Pants only $15.00/day. Junior Clothing Packages are $30.00/day or rent items separately; Junior Jackets are $20.00/day and Junior Pants are $15.00/day. Click here for the interactive Mammoth Mountain trail map. Click here for the interactive June Mountain trail map. Q When does the rental period begin and end? The rental period will begin on the delivery date when the equipment is delivered before 2:00PM. Equipment delivered after 2:00PM will have a rental period beginning the following day. Equipment not returned by 10:00 AM the morning after the due date will result in an extra late charge per day. Q Do you have a damage waiver? Q How does the delivery process work? Don’t ever wait in line at the ski shop again! Our hassle-free delivery service will save you time, which means you’ll have more time on the slopes to enjoy with family and friends. We open earlier and stay open later than all others to ensure the best delivery time for our guests and to provide you with slope side assistance when needed. Fittings are generally done the night before your first day of skiing, this way you can wake up stress free and have everything you need to hit the slopes for first tracks. Our certified ski rental technicians will select and deliver your ski or snowboard equipment to your lodging property at your scheduled delivery time. Our ski technicians will custom fit you with the latest ski and board equipment based on your rental package, ability level, and the current snow conditions. Our delivery vans come fully stocked with lots of options and sizes so we can be sure all of your equipment fits properly. Returns are just as convenient and easy as delivery. When you are finished with your rentals, we come back to your lodging and retrieve the equipment with no need to intrude on your dining or travel plans. Q How does slope side assistance work? Our technicians are only a phone call away if you ever need assistance with your equipment. Our ski technicians can meet you at the base area or at your place of lodging to make any necessary adjustments or replacements and get you back on the slopes quickly. Q What are your delivery hours? For your added convenience our Delivery Service opens early (7:30am) and closes late (8:00pm). We understand that traveling in the mountains can be difficult and unpredictable. If you’re experiencing delays or need to make special arrangements, please call and we will do our best to accommodate you. Q How do you select my equipment? Our state-of-the-art reservation system and our professionally trained rental techs use the information you provide to select the best possible equipment to suit your needs. If by chance the boot or ski is not suitable, we carry a full back stock in our vans that are parked right outside. Guests are always welcome to request specific equipment by indicating so in the comments field at the end of the reservation process. We will do our best to bring that exact piece of equipment, or something comparable.